This amazing 140 acres of riverfront property is the perfect retreat! Enjoy usable mountain property with open meadows and timbered areas. 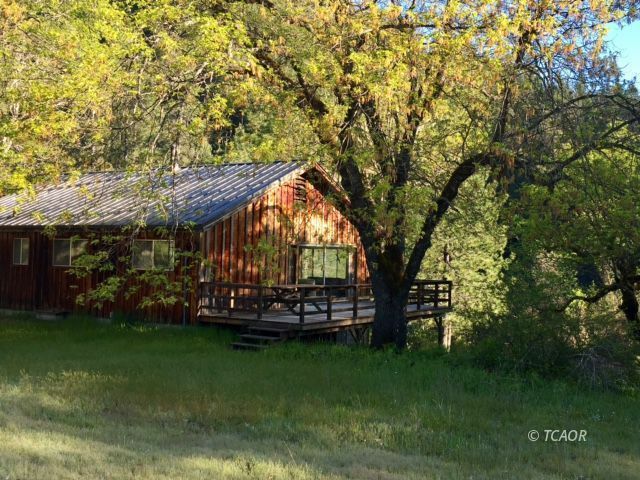 There is a 1 bedroom/ 2 bath cabin with an open floor plan and basement. Enjoy views of the South Fork of the Trinity River from your living room! The basement can accommodate your guests or a game room and has easy access to the beach. Seller uses a spring for water and solar & generator for power. Located almost at the end of the road behind a locked gate and bordering USFS land makes it a serene location. Enjoy the sunny areas for gardening or pasture for animals. The wildlife abounds here and the sounds of nature are all that you will hear from the river currents to the chirping birds. This is YOUR once in a life time opportunity in Hyampom California! Agent Has not verified zoning usage. Buyer is advised to contact the Trinity County Building Dept for verification.